EVER THOUGHT OF A CAREER IN FASHION? The global world of fashion has two distinct fashion paths, which run parallel, alongside of each other, but at some stage these paths cross at certain intervals. 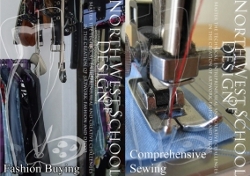 During the last two years, North West School of Design together with global industry leaders have used this model in the restructuring of its fashion education. Within the fashion world, globally and locally, we find manufacturing and design on one side of the fashion sphere. A course in Fashion Design typically leads to this pathway of fashion from design, product development, manufacturing, production control, quality control, entrepreneurship and marketing. On the other side, we find the Fashion Retail aspect which includes fashion buying, retail merchandising, fashion journalism, fashion PR, marketing and entrepreneurship. NWSD’s course in Fashion Management and Communication leads to this ever expanding retail side of fashion. We see that both these fashion pathways overlap in areas of entrepreneurship, trend forecasting and marketing. Have you considered the number of career options within the global fashion world? Not all fashion graduates end up as designers. From the exciting, edge-of-your-seat world of red carpet designs to the highly valued practice of fashion buying and fashion styling; the fashion world has a career for every aspiring entrepreneur, designer and even computer junkies! Only once fashion students really grasp and understand how the industry functions and how these two distinct fashion pathways lead to various career paths, can they select between Fashion Design on one hand and Fashion Management and Communication on the other. For the more practical, creative and technical aspects of designing, like being involved in the design and manufacture of garments, you would need to register for a course in Fashion Design. This will prepare you in design, construction, illustration, pattern engineering, product development and business management. 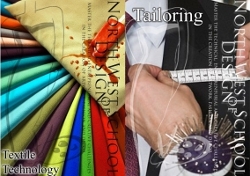 Careers to follow with this qualification: Fashion Designer, Retail Designer, Couture Designer, Costume Designer, Patternmaker, Pattern-grader, CAD Specialist, Fashion Illustrator, Graphic Designer for Clothing, Production Manager/Specialist, Tailor, Quality Controller, Clothing Technologist, Procurement Specialist, Lecturer, Productivity Specialist. For those who are interested in the management, financial, administrative and communication side of fashion, and who want to get to such a position where all the big decisions lay on your shoulders, you will need a course in Fashion Management & Communication. This course will prepare you for careers in Fashion Buying, Fashion Journalism, Fashion Editing, Merchandising, Trend Forecasting, Fashion Photographer, Fashion Agent, Fashion Marketing specialist, Fashion Events co-ordinator, Retail / Boutique management, and Fashion Publicist and PR.